Looking over my list of publications in 2018, I am struck that four out of seven are reprints. Now reprints are great — a second (or sometimes third) sale of a published story ranks up there with royalties as the best passive income ever — but when I’m selling primarily reprints, it makes me wonder if my production of new ideas is down. In the particular case of 2018, I think the reason is Pole to Pole Publishing and the ramping up of their Re-Imagined Series, which aggressively publishes reprints. I sold three stories to them this past year. It is also hard not to wonder if something was off this last year because the number of overall publications was dramatically down. But again, there’s a context. The numbers are down because the previous year had the advantage of bringing to print many of the stories that had been sold during record-breaking 2016 when editors bought twenty-three of my tales. And now, as I look forward to 2019, I can be pleased that one story has already made it to print this January and anticipate more to come. Yes, wicked tales from the witch city, also known as Salem, Massachusetts. 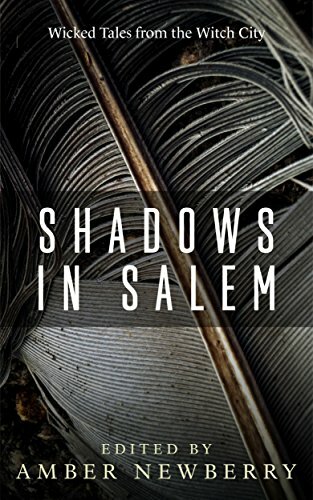 This anthology, Shadows in Salem: Wicked Tales From the Witch City, features stories of different genres and time periods set in Salem. My story, “Love and Oil,” is a tale of a house museum on Chestnut Street that adds a haunted portrait to its collection — a portrait with issues with the other portraits on display. As an old house person who collects antique portraits and has often docented historic tours, I was basically channeling myself as I wrote this story. It was fun to write and it’s great seeing it in print. Shadows in Salem can found on Amazon and other booksellers. My futuristic science fiction story “Scow of Destiny” has been posted on the June “End of the World” issue of online magazine InfectiveInk. As you might guess, this story is about the end of the world, or at least the end of a galaxy-spanning star empire. We see that the mighty fall, but the little people go on. In this case, the little person is a garbage collector — as in garbage scow. The word “scow” caused discussion among early readers of the story, a number of whom hadn’t encountered the word before. So what do you think about scows? 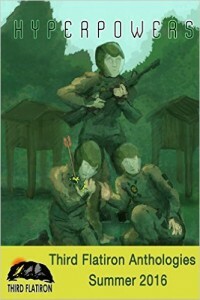 You can read “Scow of Destiny” free online at http://infectiveink.com/?p=2363. Strange Mysteries #7 from Whortleberry Press has hit the digital bookstores, and of course I mention this because I have a story in this anthology. The title is — wait for it — “Something Wicker This Way Comes” and is the tale of a potentially cursed wicker plant stand. I say “potentially” because the job of investigators Justin Tyme and Marianna Trench is to figure out the weirdness that accompanies this piece of furniture. This is one of three haunted antiques stories I’ve written with the same investigative characters who live in Asheville, NC, next to the Biltmore estate. So if you like “Something Wicker” (see it here), you may also like the already published “Up On the Housetops Gargoyle Paws” in Strangely Funny II (see it here) and”Tearcatcher” in Strange Mysteries #6 (see it here). 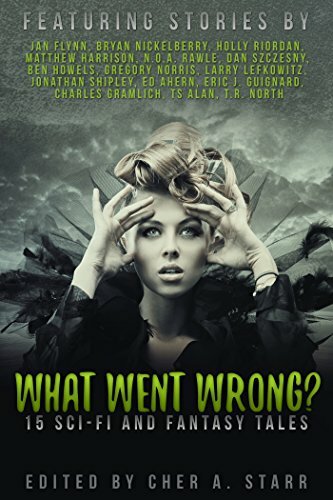 To quote the Amazon blurb: “Everyone’s had THAT day—the one where a spell went south, a glitch ate some code in the doomsday device, and aliens are on the move eat your brains.” This is the theme of the anthology What Went Wrong? My story, “Lab Rat,” follows the an atypical day in the life of an assistant to a modern mad scientist. As events spin out of control, she has to ask herself, “Maybe I have the wrong job.” Truer words were never spoken What Went Wrong can be found at https://www.amazon.com/What-Went-Wrong-Jan-Flynn-ebook/dp/B01FUY9A3S?ie= UTF8&*Version*= 1&*entries*=0. Also, in the context of bestselling Amazon authors, I broke the Top Ten . . . well, ten-thousand. On June 3, I was up to #6,134, which is an all-time high for the years I’ve been an Amazon Author. But two days later on June 5, I was down #79,733, which only goes to show that Fate is fickle (or in this case, book buyers). Posted in Writing	| Comments Off on What Went Wrong? My May was enlivened with three more sales. The first story was my annual submission to Sword and Sorceress, which is on volume 31. 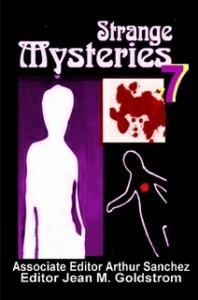 This is always a target of my literary year, and I have been included in the past six volumes. But before that, I was rejected for twenty years running, so I never take Sword and Sorceress for granted. The story, “Tears of a Dead God,” is my fifth tale of Jenna the exorcist who lives in a haunted kingdom with much demand for her services. The five stories together are almost half a novel’s worth of words, and I plan some day to assemble them into an aggregate novel. Story #2 was also to a familiar publisher. Whortleberry Press puts out a number of anthologies each year, and I have been included in five of them in the past. This May, the anthology was Strange Mysteries #7, and the story was “Something Wicker This Way Comes.” This is the third “cursed antiques” story to sell and like the exorcist tales, these may eventually end up as an aggregate novel. Then there was the third story, a completely different situation. “Love and Oil” with its haunted portrait will appear in Shadows in Salem, an anthology of spooky stories set in Salem. This sale was the tiebreaker. Last year I sold ten stories, an all-time record for me. This year has been even more active, and I sold ten in the first half of the year. “Love and Oil” breaks the tie and sets a new all-time record with eleven sales for the year. And there’s still another six months left. Hyperpowers from Third Flatiron Anthologies is out and receiving good reviews. 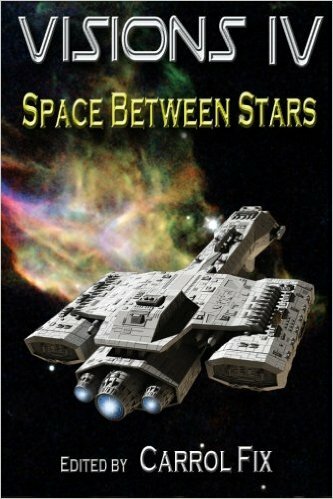 It’s a science fiction collection, specifically in the space opera subgenre that concentrates on the rise and fall of star empires with all the attendant ramifications. My story in the anthology is “Between Two Heartbeats,” a tale about smugglers caught in the broad political currents of conspiracy and regime change. Even though the characters are new, one piece of apparel — the powerful Greatcloak — has appeared in several other stories about this same star empire. “Between Two Heartbeats” can be found here on Amazon. “Between Two Heartbeats” on March 27, Easter morning — this science fiction story is going to the Third Flatiron Anthology themed “hyperpowers.” This is the fourth story I’ve sold to Third Flatiron over the last several years. “Lady Trap” on April 3 — this fantasy story was picked up by Farstrider Magazine for their second issue. The editor commented how complete the world felt, probably because I’ve used the setting and main character extensively in two of my novels. “Scow of Destiny” on April 10 — I submitted this science fiction story to INvective INk’s “mistaken identity” issue, but it was accepted for their later “end of the world” June issue. When this was critiqued in my writing group, it came to light that not everyone knows what a scow is, but when you read this story, you’ll understand. “Lab Rat” on April 14 — This is a mad scientist story that will appear in Lit Select’s anthology Legendary Stories: What Went Wrong. With a mad scientist story, you can safely assume that everything goes wrong. So five acceptances in three weeks – huzzah! And already they’ve started appearing in print. Today was the release of Visions IV: Space Between Stars, a sci-fi anthology of deep space events that might go on far away from planets and stars. My contribution to the book was the story “Whisper,” a vampire story. Yes, vampires in outer space sounds like a parody, yet the possibilities are strangely limitless when it’s all night and no dawn. What could happen to the polymorphous vampiric body away from the confines of sunlight and gravity? In “Whisper,” a traditional, planet-bound vampire confronts his deep space brethren and discovers the answer. Visions IV is available on Amazon at this location .